Just a few weeks ago, a Red Dead Redemption 2 player managed to glitch into Mexico (the first restricted area). Now, another RDR2 player has managed to find the glitch and access the different side of the restricted zone to the north of the snowy mountains. This Red Dead Redemption 2 Glitch guide will show you how to access the top of the Restricted Snowy Mountain. The newly explored restricted glitch is fun to explore with the frozen lakes, ice walls, and of course mountains. You can even hunt goats and other wildlife to interact with on the Mountains and take a good view at the game details. 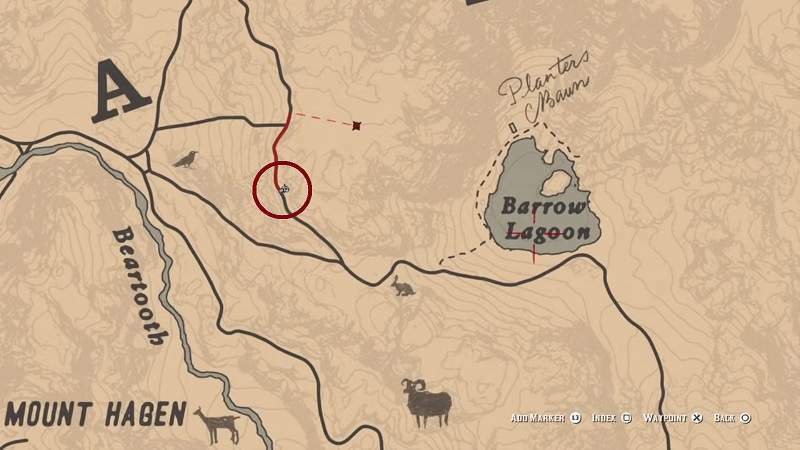 There are multiple ways to access the restricted, but here we will show you the most reliable way is via the invisible wall west of Barrow Lagoon. Once you reach the above marked location set up the camp then when you get up, you’ll find yourself over said invisible ridge free. Start Exploring until you get bored and make sure you have the proper warm clothing. The below videos show the different areas you can explore on the restricted mountain. Enjoy the detailed, textured of the snow, mountains and others. If you have explored any new glitch area in red dead redemption 2 then do let us know in the comments below. Also check our other Tweaks and Tricks in RDR 2 and RDR Online.